Many of you have heard that we are teaching SEAN (not having a seance). For those of you who are unfamiliar with it, allow me to explain. This is a theological education by extension course. It is a six book compendium on the life of Jesus according to the book of Matthew. I would say it is the best study material I have had the privilege of using. By the time you are finished you know the book of Matthew better than any other book of the Bible and meet Jesus up close and personal. 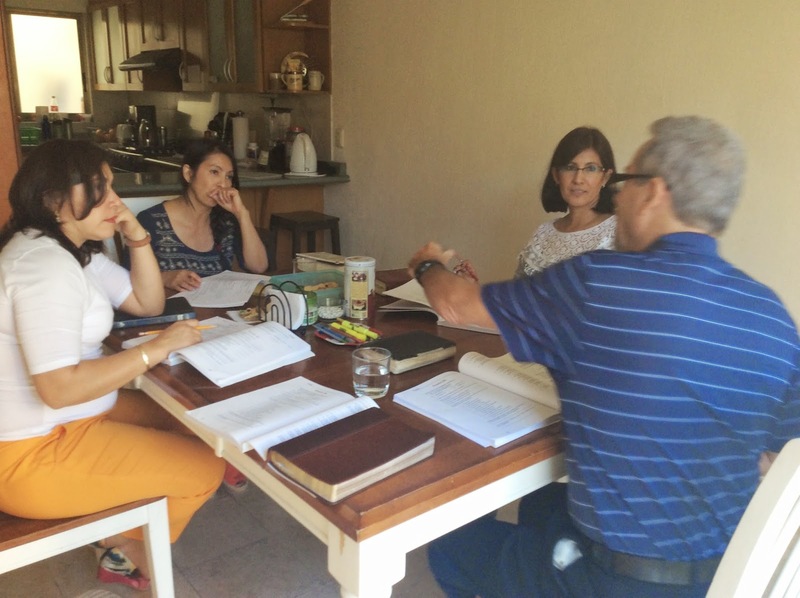 I began taking it as a student while in Nicaragua, then taught it in my home church in Steinbach. Ask anyone who has taken it, and you will hear many of the same comments. If you haven't taken it, I highly recommend you finding someone to take it from. Alas, I digress. I mentioned, in passing, that I had this course on the life of Jesus to Alejandra, my neighbour, and that same week she came to me and told me she had 3 ready to take it! And off we were. We meet every Tuesday around 5 p.m. and the end times differs from week to week, depending on the discussion. Presently we are in Book 2 and they are excited about taking all 6 and graduating. The mix of students in very interesting, one is a very studied and learned Catholic. She is very knowledgeable about the Bible and her faith. Another is, according to her own self-description, a 'bad Catholic'. No, she is not a bad person. She is one who has a faith but doesn't attend mass or fulfil various other requirements of the church. The third student is from an evangelical background. 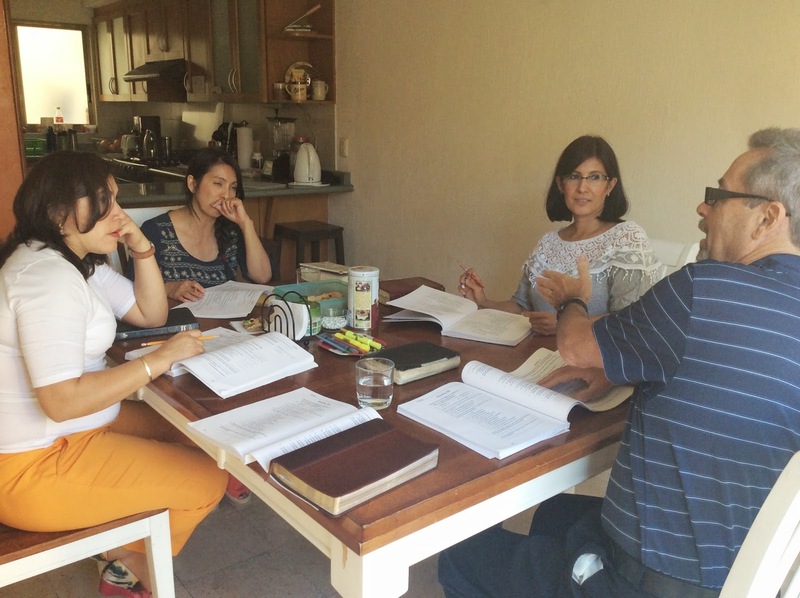 Together we are studying the life of Christ. We are seeking to learn together and not argue over being Catholic or Evangelical. We are learning and growing together. It has been a rich experience for each of us.